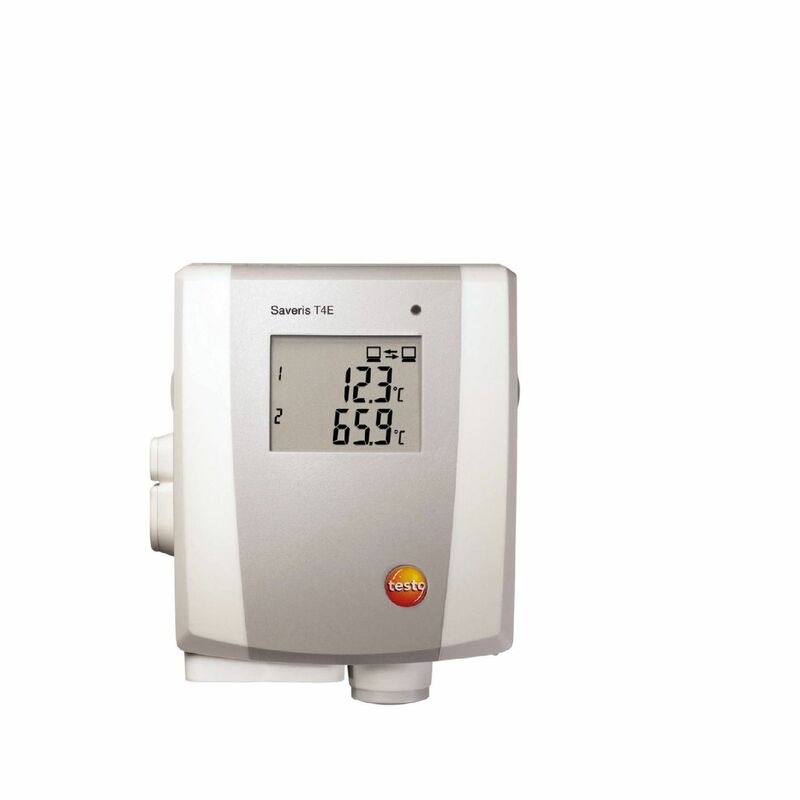 The T4 E Ethernet probe is also equipped with a display, showing the current measurement data, battery status and limit value violations. The Ethernet probe has a data memory for 6,000 readings per channel/connection. For commissioning, this measuring instrument requires a probe and a power supply unit (not included). testo Saveris T4 E 4-channel Ethernet probe with 4 external TC probe connections and display.